Apple’s iPhone sales for the second calendar quarter of 2013 were pretty much evenly split between the iPhone 5 and its two precursors — the iPhone 4 and iPhone 4S. This according to new data from Consumer Intelligence Research Partners that shows lower-priced legacy iPhones gaining share across Apple’s smartphone portfolio. 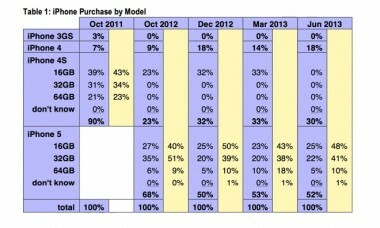 CIRP’s survey of iPhone sales between April and June found that the iPhone 5 accounted for 52 percent of all iPhones sold in the United States. 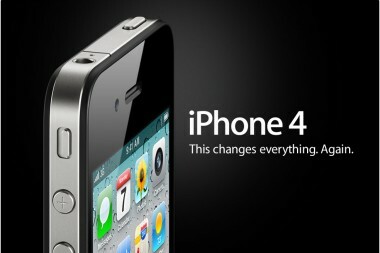 Meanwhile, the iPhone 4S accounted for about 30 percent, and the iPhone 4 about 18 percent. That’s similar to the iPhone model breakdown CIRP has charted for three quarters now, but it’s quite a bit different from the trend the firm saw following the release of the iPhone 4S, which claimed significantly more sales share following its debut, and held onto it longer. 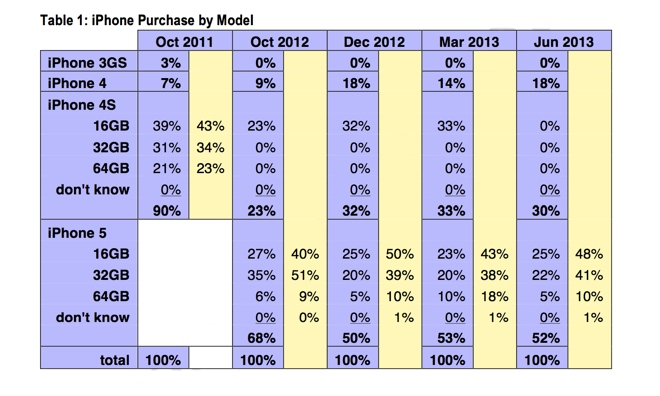 Nine months after the iPhone 5’s debut, it accounts for about half of all iPhone sales. The 4S still accounted for nearly three-quarters of iPhone sales almost a year after its launch. So there’s a clear trend developing here, with lower-priced legacy iPhones gaining in popularity and likely reducing the average selling price of the iPhone as a result. By how much? Sounds like another data point with which to bolster the argument for that long-rumored low-end iPhone — or midrange iPhone — though, for what it’s worth, CIRP thinks Apple is hitting the low end of the smartphone market just fine. In the U.S., anyway.